If the GUCCI resurge is what your all about with your wardrobe then this may be your next must. 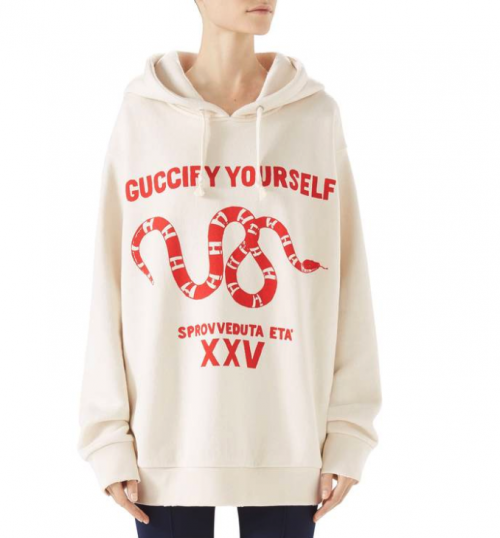 This offering from GUCCI is as creative director Alessandro says and Guccify yourself with this perfectly slouched, felted cotton hoodie. A easy garment to just pop in and stay cozy. This is a easy like or not and you can go HERE to get.